Refrain from using intimidating words that could cause your child unnecessary fear. Dentists and their staff are conditioned to use words that convey a positive and pleasant message. Try to avoid words and phrases that include needles, pull, pain, or drill. Ask the dentist to inform your child of the procedures and answer any questions. 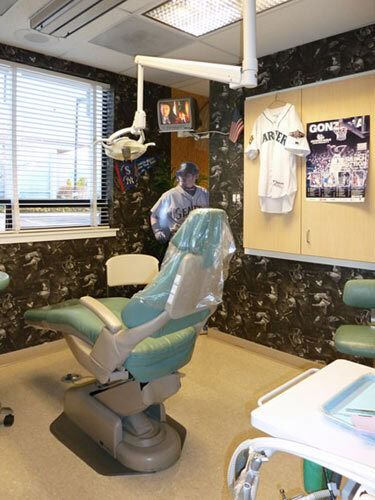 We pride ourselves on creating the best dental experience for your child. Our dental assistants enjoy working with children and have been trained to put your child at ease. Before your child sits in the dental chair your assistant will introduce herself to you and your child then ask if you have any questions or concerns. During their time in the dental chair, your child will receive x-rays, a teeth cleaning, oral hygiene instructions, an exam and fluoride. The dentist will sit with you and your child and explain his/her findings and answer any questions that you may have. Upon leaving, your child will receive a prize and be scheduled for their next appointment.